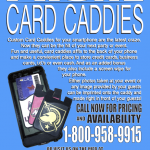 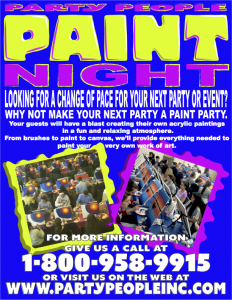 Call Now for our new Paint Parties! 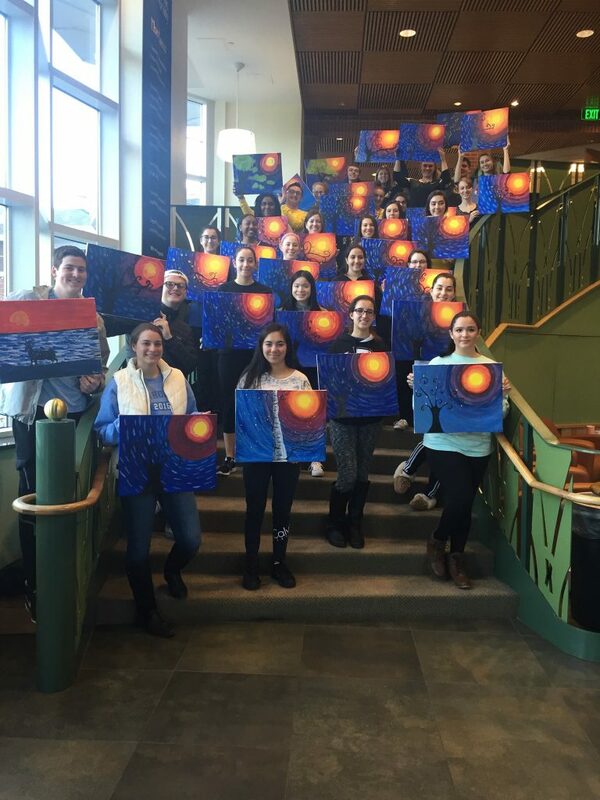 Your guests will have a blast creating their own acrylic paintings in a fun and relaxing atmosphere. 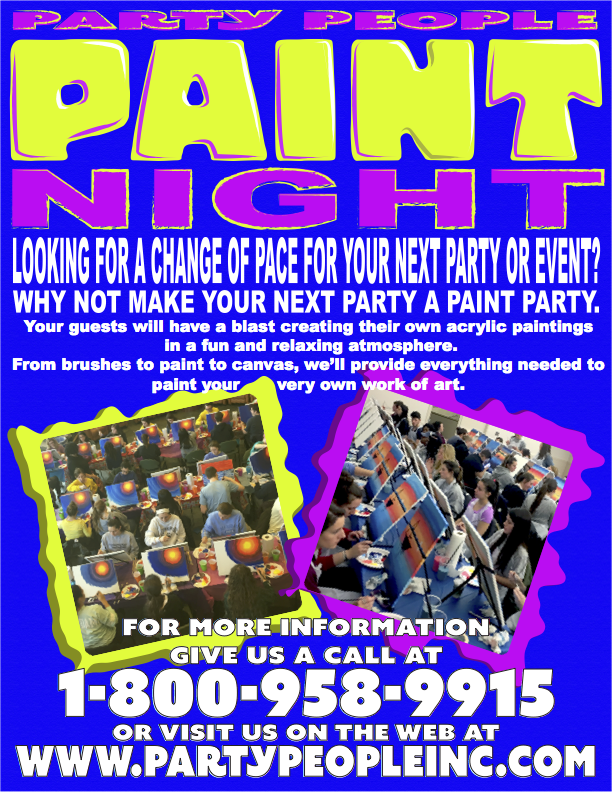 From brushes to paint to canvas, we’ll provide everything needed to paint your very own work of art.